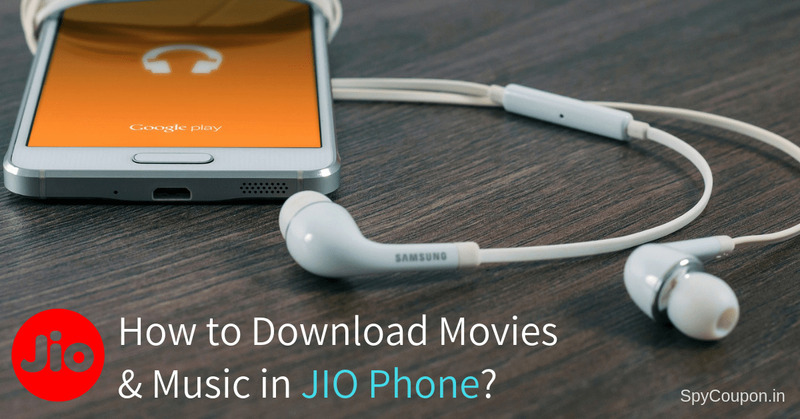 How to download movies in JIO Phone The JIO products from reliance industries have been hugely popular among the masses of India. Among all their products, the RS 1500 JIO mobile phone has been a massive commercial success for the Reliance Corporation. JIO mobile phone is relatively cheap than other phones available in market and offer a wide range of benefits to the user. The most popular offer from the JIO phone is its RS 50 recharge offer with 28 days validity. It offers unlimited voice calls and 1GB high speed data for 28 days which has attracted many users towards it. JIO phone also comes with prime service activated sim card which allows its users to access various licensed JIO apps such as JIO music, JIO TV, JIO cinema, JIO games , JIO express, JIO chat at free of cost. The JIO phone user can listen to songs by selecting from a large library of songs through JIO music app and also can watch live television programs through JIO TV app. The JIO express app provides latest news updates to its users in more than 10 Indian local languages. JIO games app comprises of large amount of games that are compatible with the phone and which are intriguing to play. JIO cinema app contains movies, music videos, a large database of current and concluded TV serials, and reality TV shows. How to Download Movies & Videos in JIO Phone? 1) The simple and direct way to view movies in JIO phone is through the JIO cinema app which has a large collection of movies. The cinema app has movies which are available in English, Hindi and in almost all regional languages like Telugu, Bengali, Marathi, Tamil, Malayalam etc. If the app is not present in your phone by default you can download the JIO cinema app from the JIO app store. First open the web browser in your JIO phone and type the url youtube.com in the browser to open youtube. After logging into youtube, search for the required movie using the search option present at the top of the page. In the search results click on the link of the movie you desire to download. After opening the link pause the video and copy the URL (the web address of the video) of the video to the copy board. Now close the video tab and enter into a new tab. In the new tab enter the web address https://en.savefrom.net/ and open it. In the savefrom.net website’s opening page you will see a “insert link here” tab, now paste the URL of the video you copied from youtube.com in this tab and press enter. After entering you will be able to download the required movie conveniently in desired video quality. The savefrom.net allows its user to download videos from youtube.com for free. A user can download the movie in either 240p, 360p, or 720p HD video qualities from this website according to their choice. The user in order to download the file should click on the desired quality in which he wants to download the video, after clicking the video will start getting downloaded into your JIO phone. A user can download any video from youtube.com into their JIO phones using the above mentioned method. How to Download Music in Jio Phone? The best way to do this is to use Jio Music app that you can easily download from JioStore app. But the thing is, you can not save these songs to your phone’s storage. You can listen it for free anywhere, anytime. All you need is an internet connection. Either way, you can simply head over to Google and search for your songs and you will get tons of sites containing download links. But if possible, go with Way #1 only. Do let us know if you need any assistance. Also let us know if the above method worked for you or not.